I love stumbleupon. If you haven't tried it you should, it's a site that allows you to search for interesting things on the web by categories. I have found so many clever, craft people out there so I have decided to share some of the things that I bookmark. I'll limit myself to picking one a week otherwise you'll be bogged down with my posts. …thinking of a name, hhmmm lets call it… Inspirational monday, Tuesday Treats, no no. Friday Favourites. Any suggestions? Anyway until there's a name and a day here's my first one. 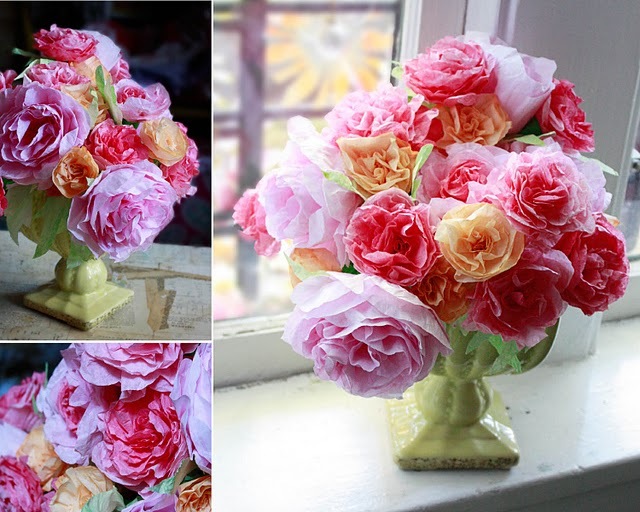 Beautiful coffee filter roses. There's a tutorial on how to do it too so there's no excuses. If you guys find something inspiring then share it with us. It could be fun.